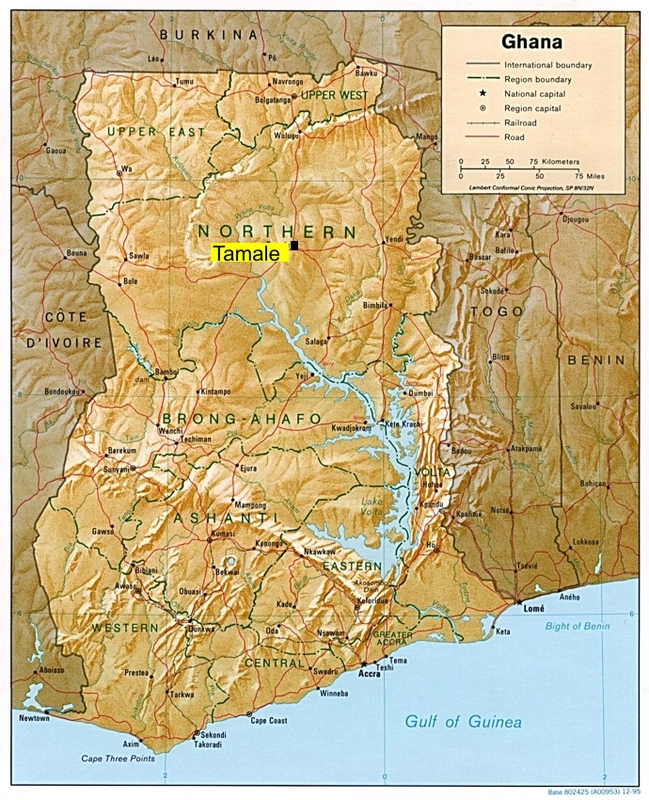 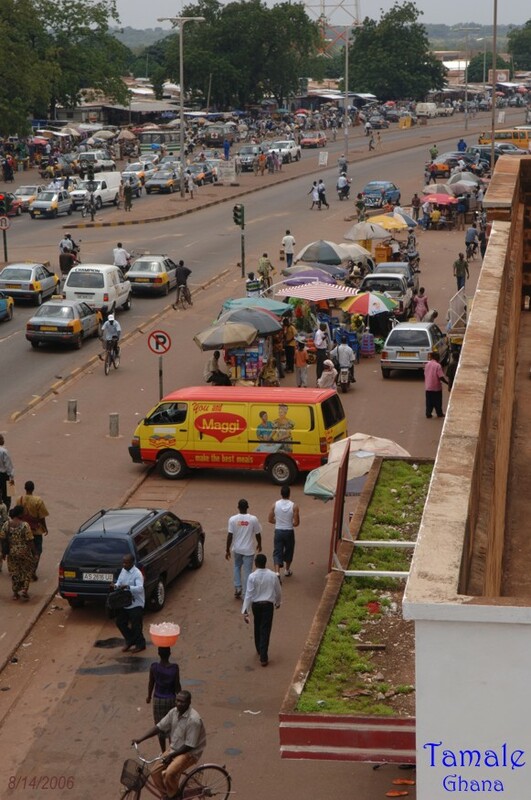 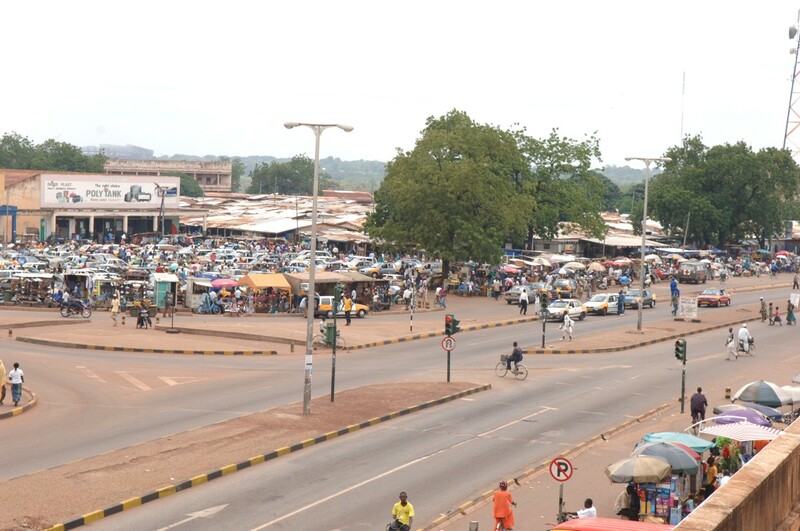 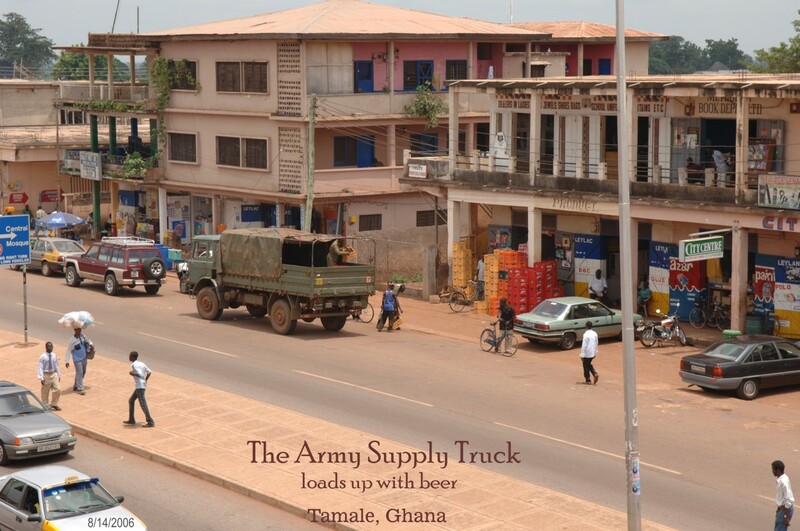 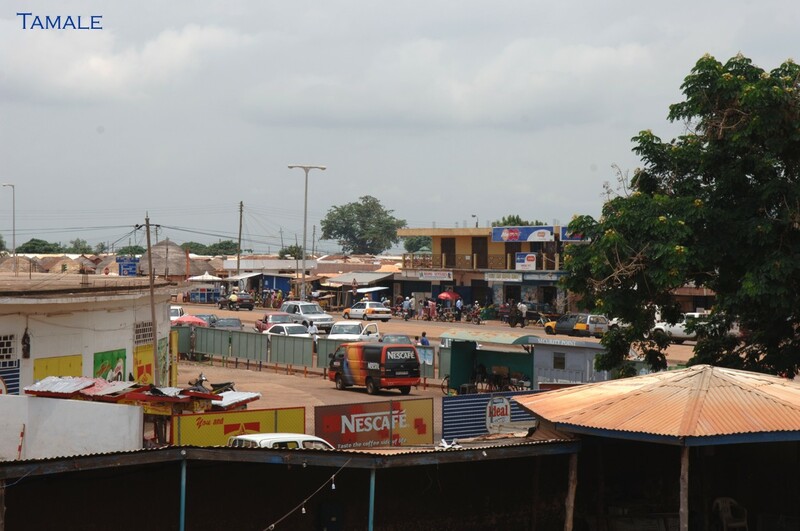 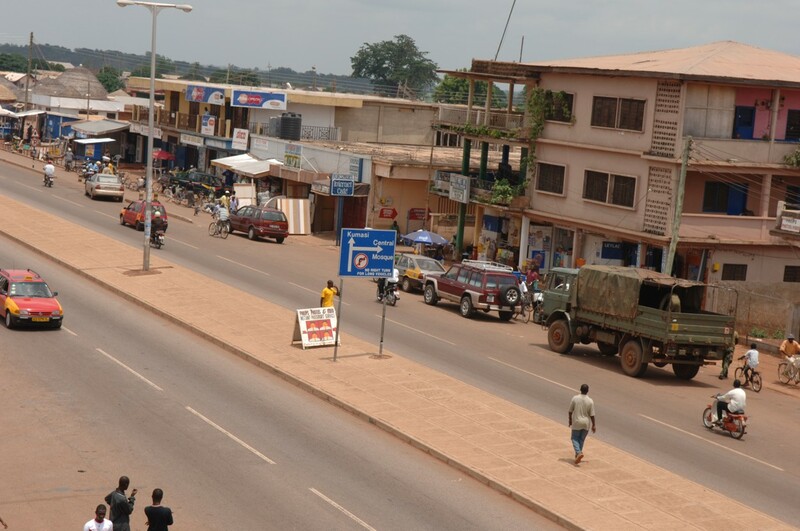 Tamale, highlighted on the map at the left, was a focal point for our travel in the northern region of Ghana. 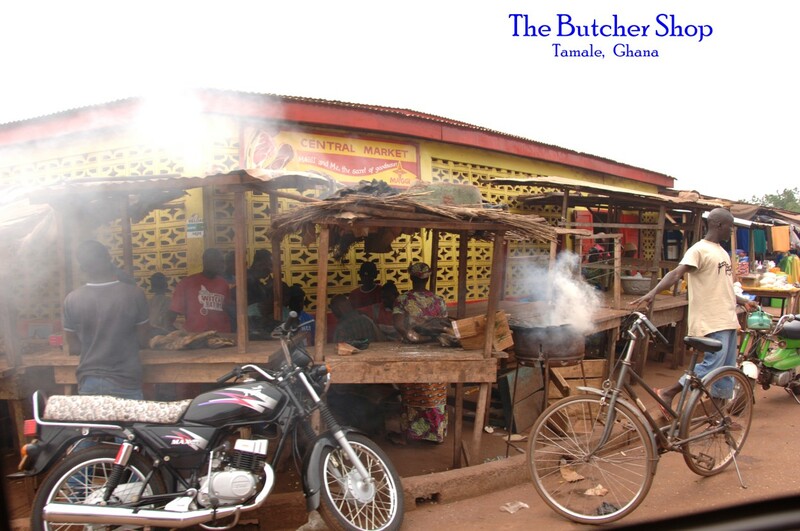 It was the crossroad we hit as we traveled north from Kumasi. 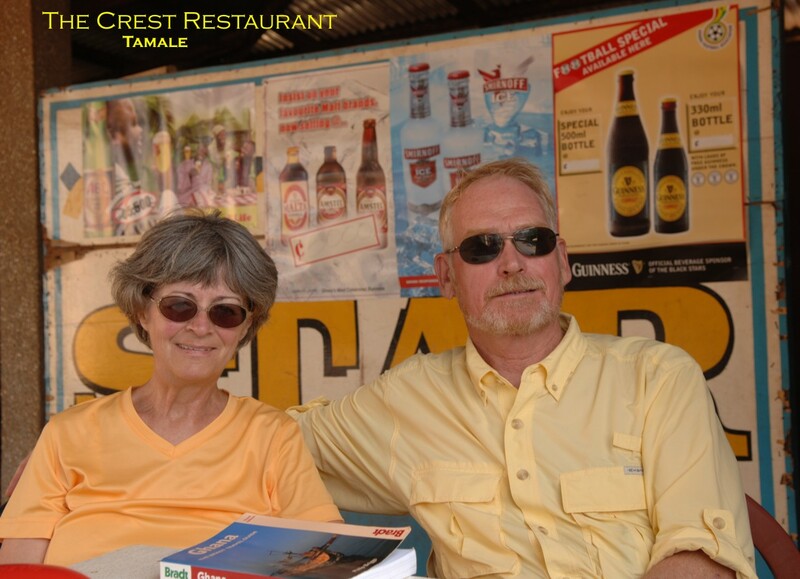 From Tamale we would strike out for Mole National Park. 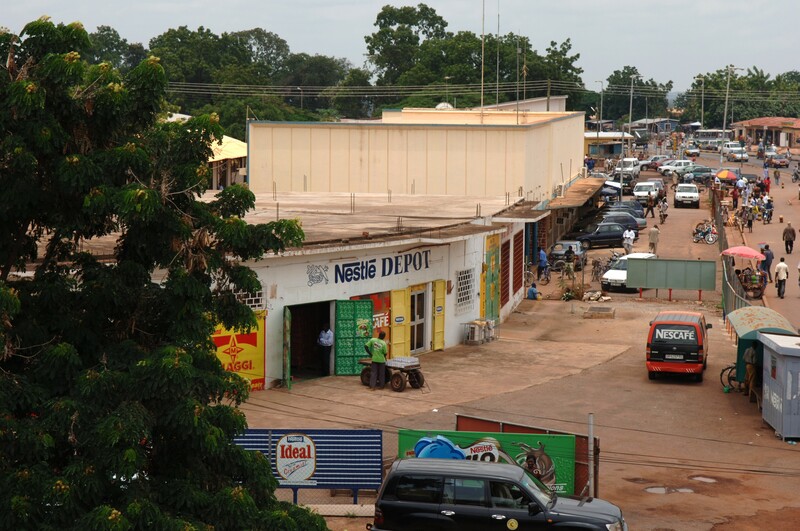 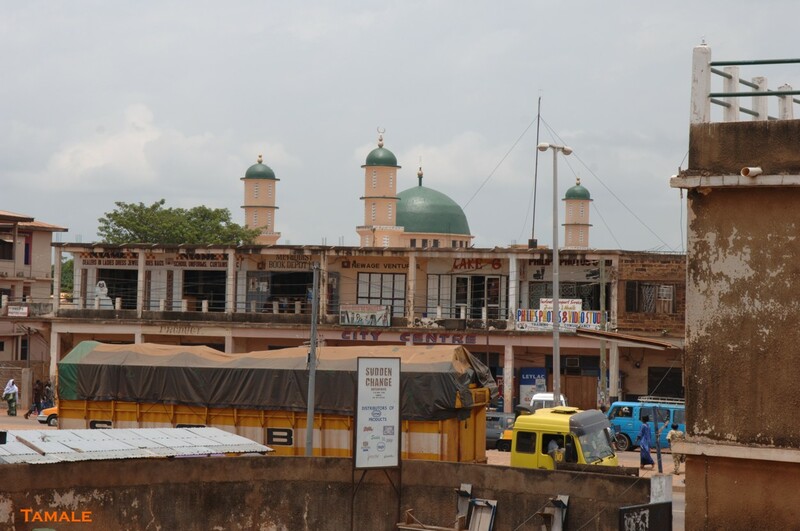 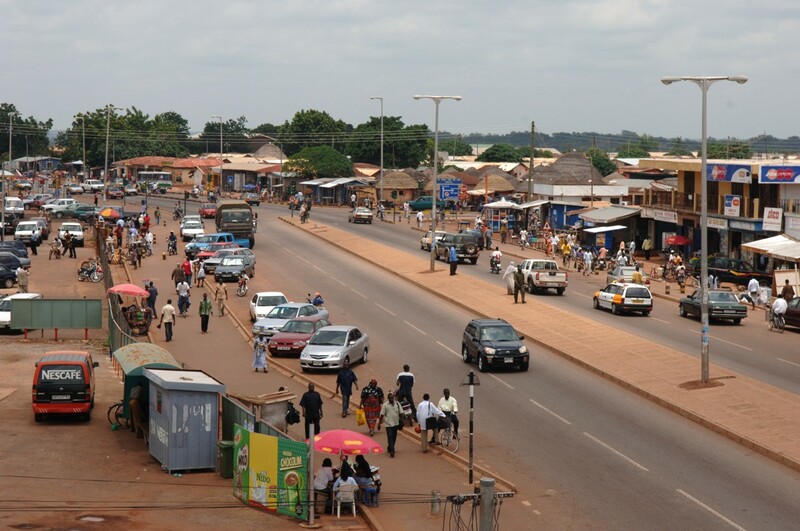 After Mole we would return to Tamale to head north to Bolgatanga and then on to Bawku, our final destination. 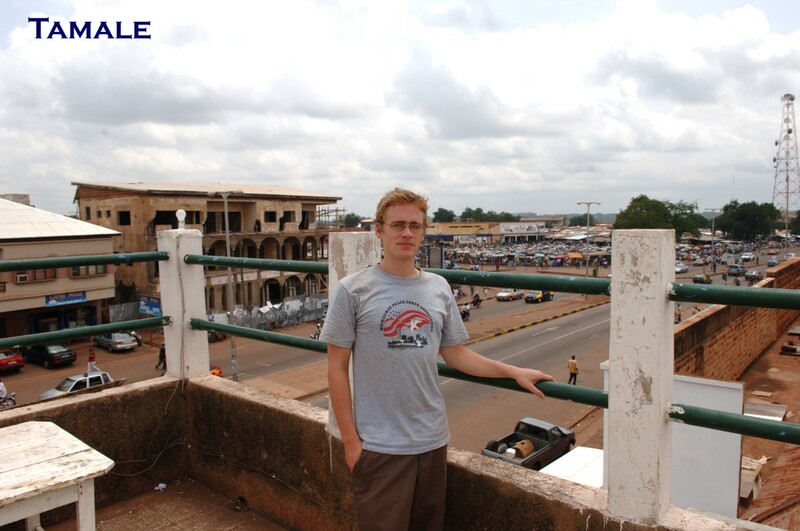 We stayed at the "Relax Hotel" in Tamale. 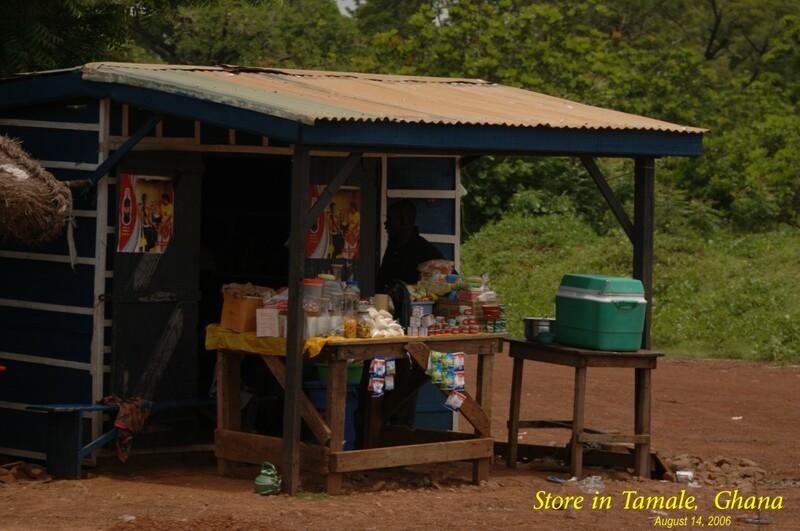 An interesting place. 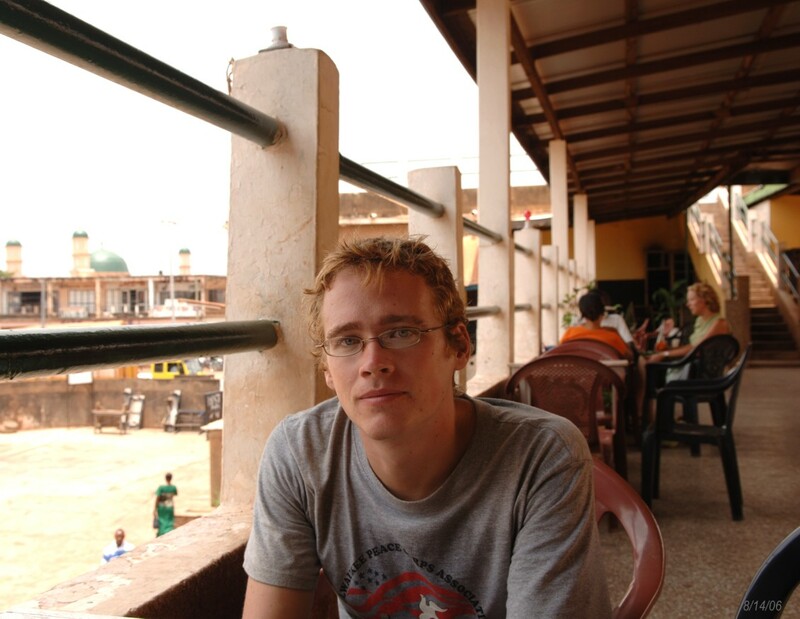 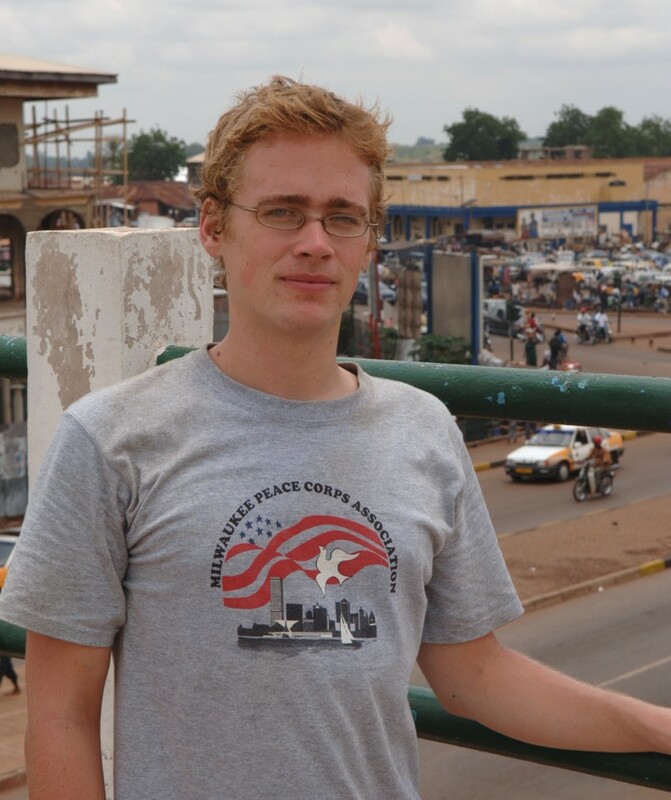 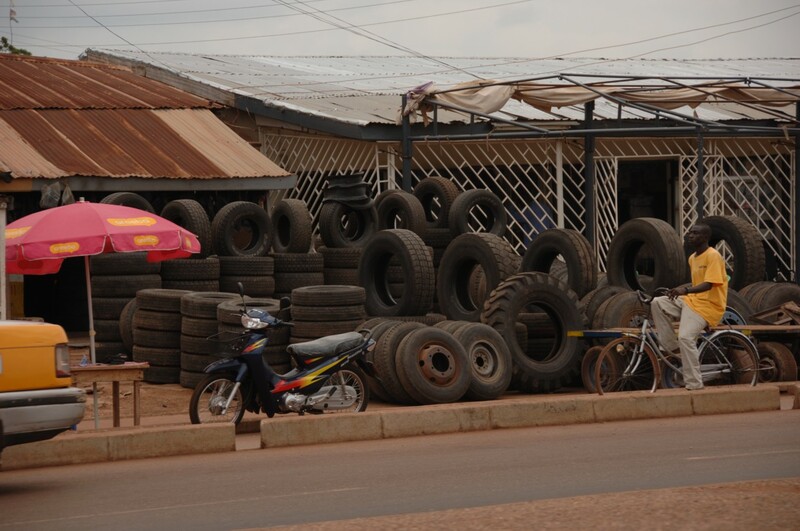 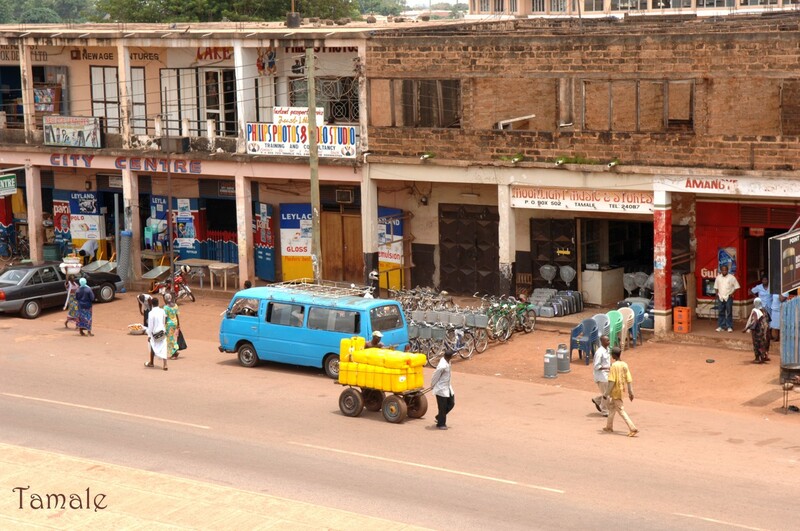 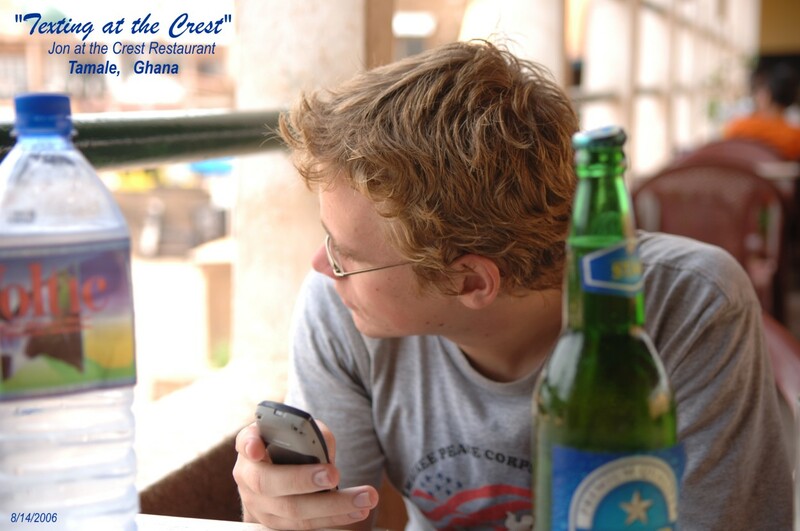 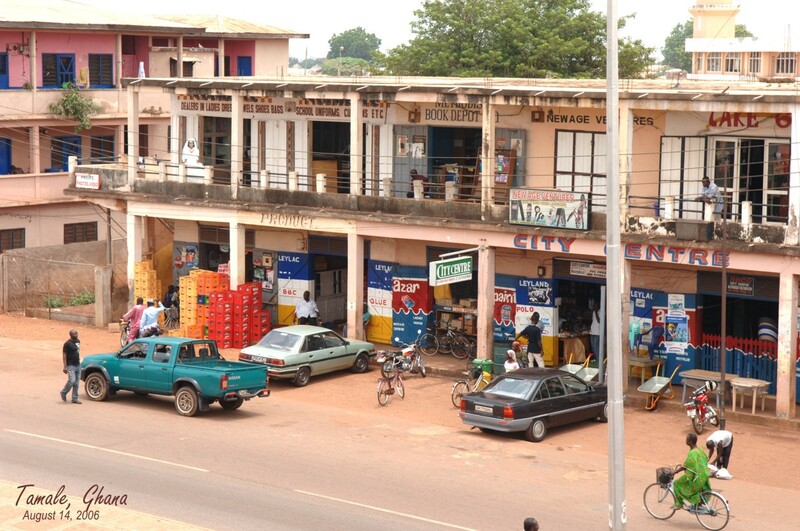 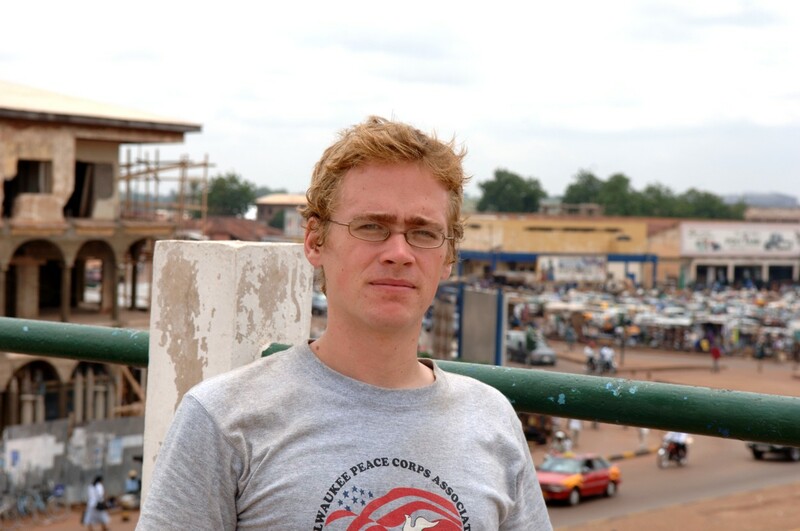 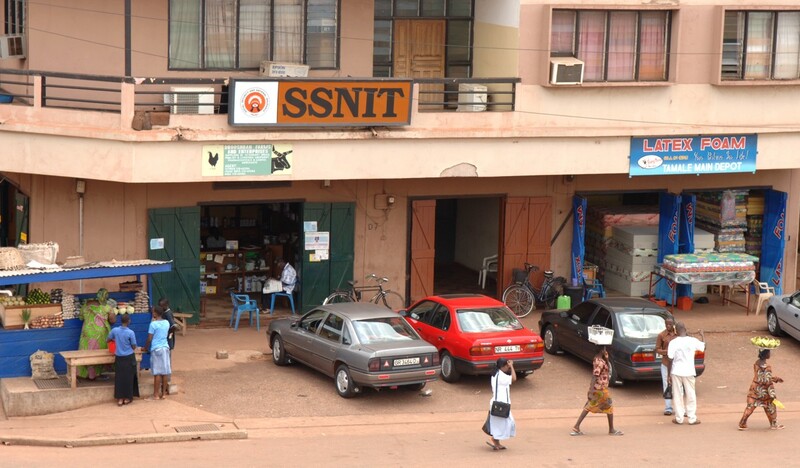 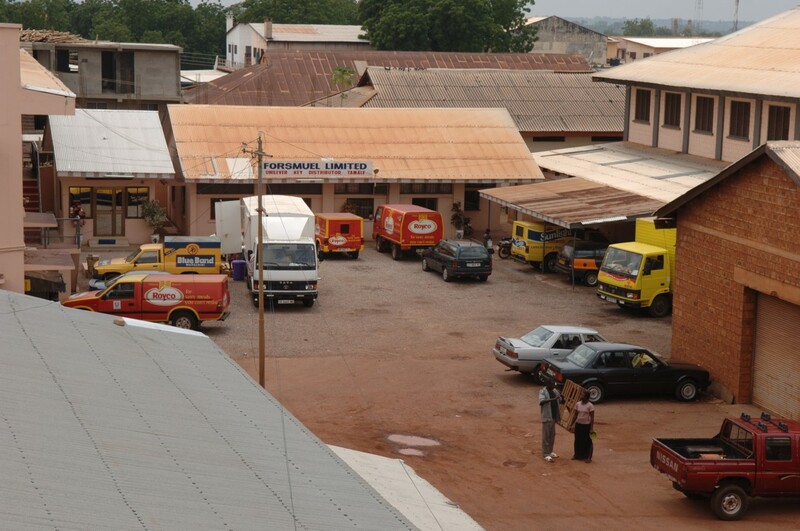 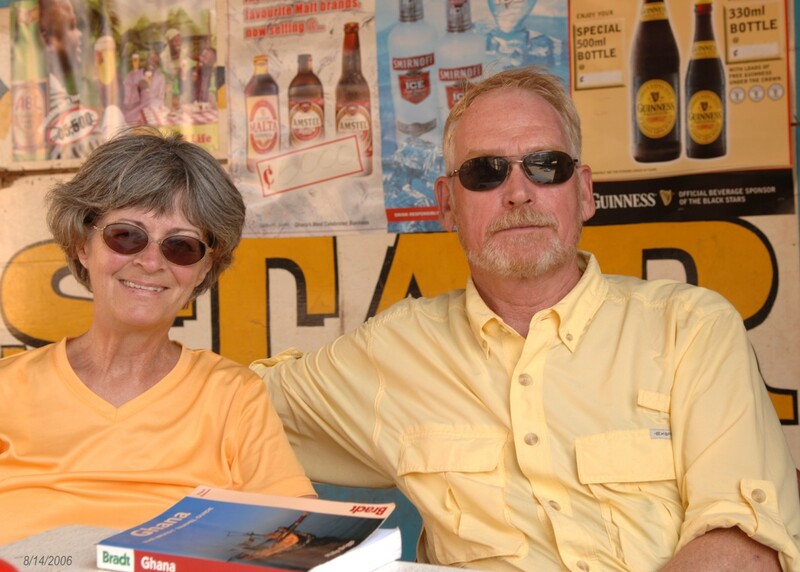 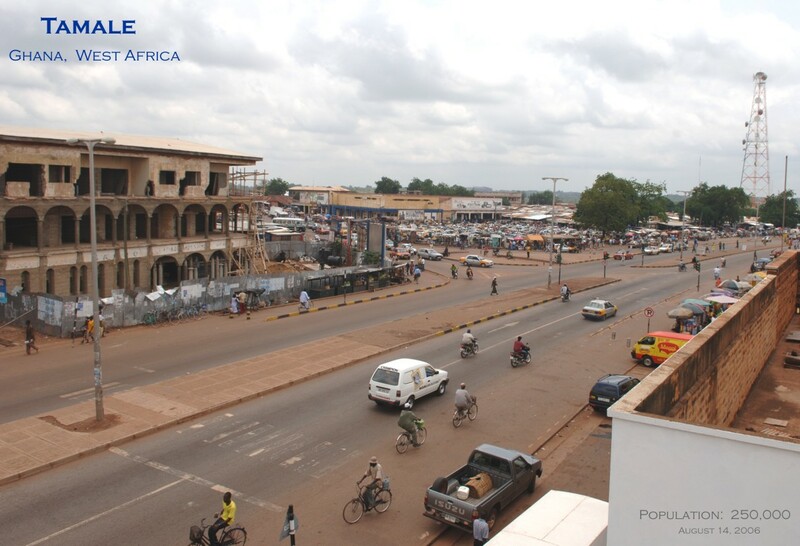 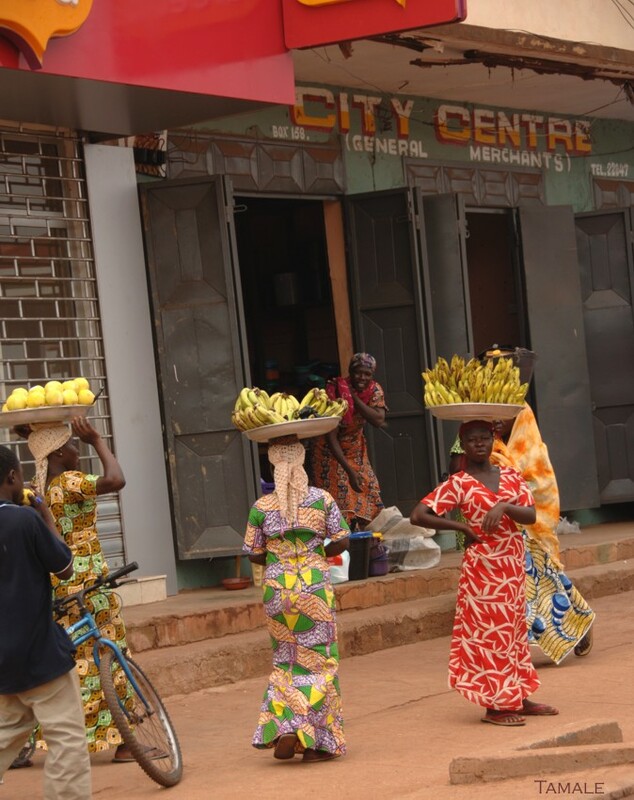 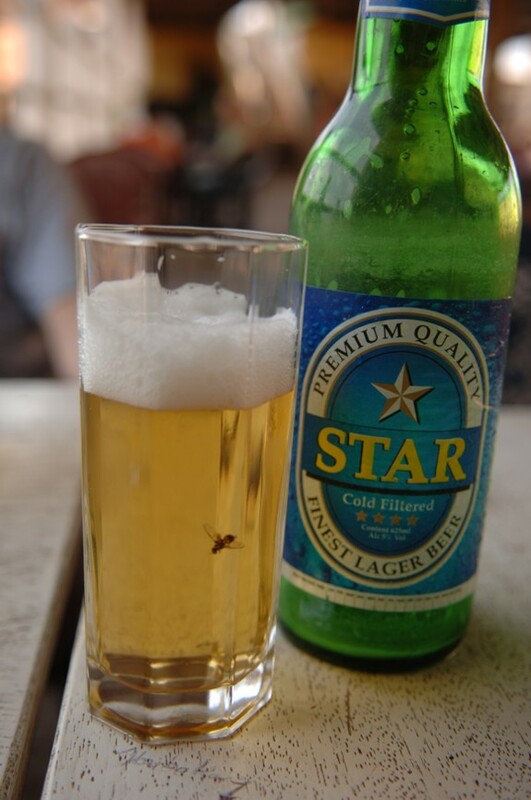 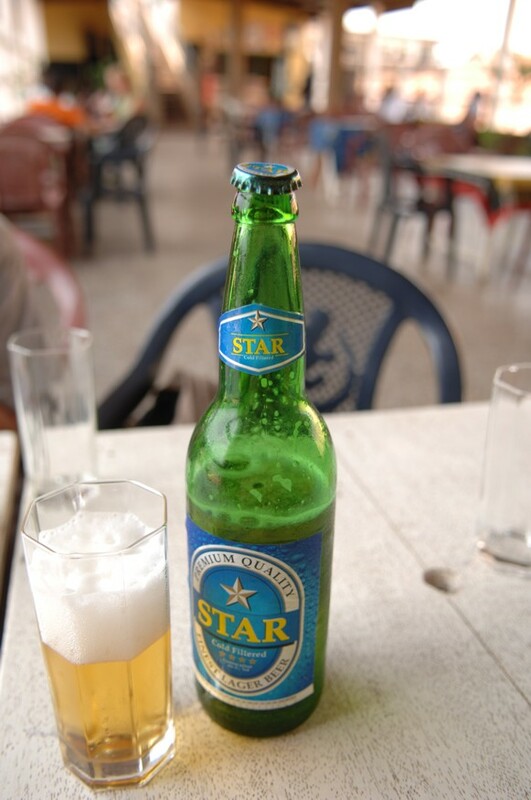 The Peace Corps maintains a Sub Office in Tamale and the Relax Hotel is a short walk from it. 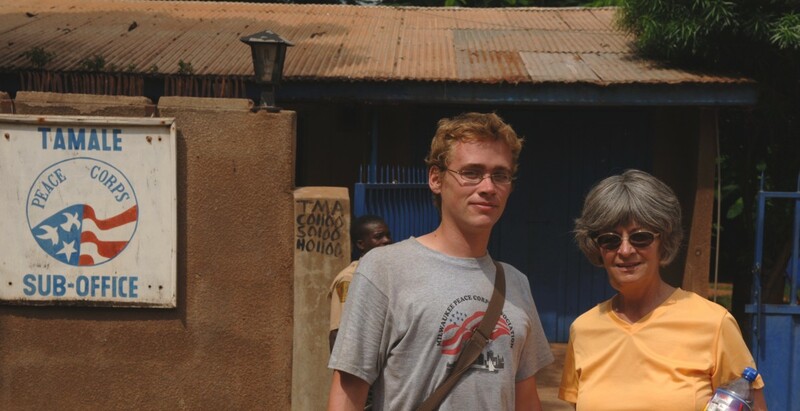 Above is a shot of Jon and Kathleen in front of the sub office. 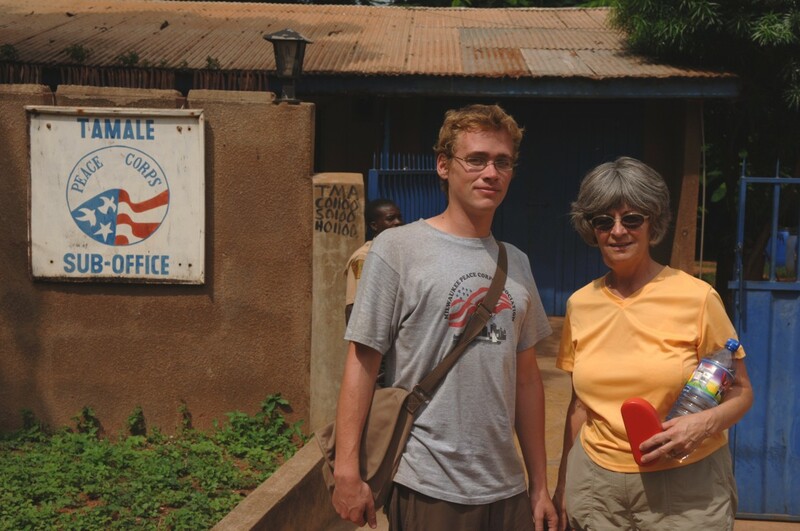 The Peace Corps also has a sub office in Kumasi and these provide a nice stopping place for Peace Corps volunteers as they travel in Ghana. 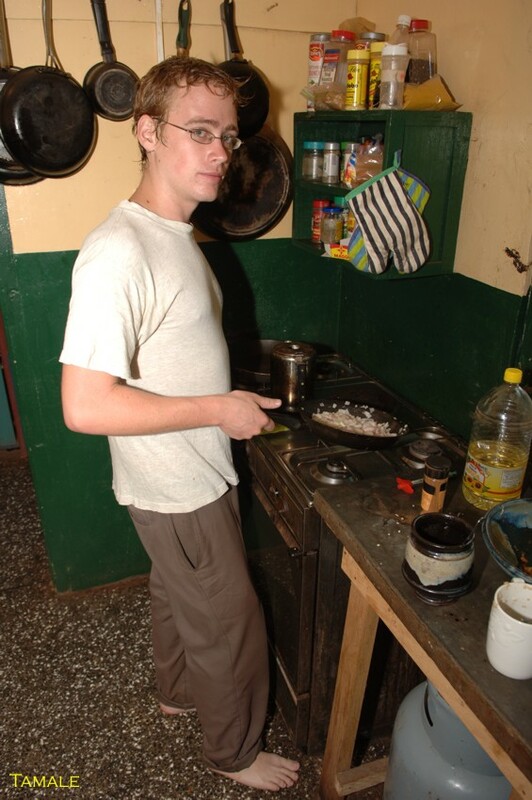 There are bunks and a kitchen in each sub office and for a dollar a night, the volunteers can stay there. 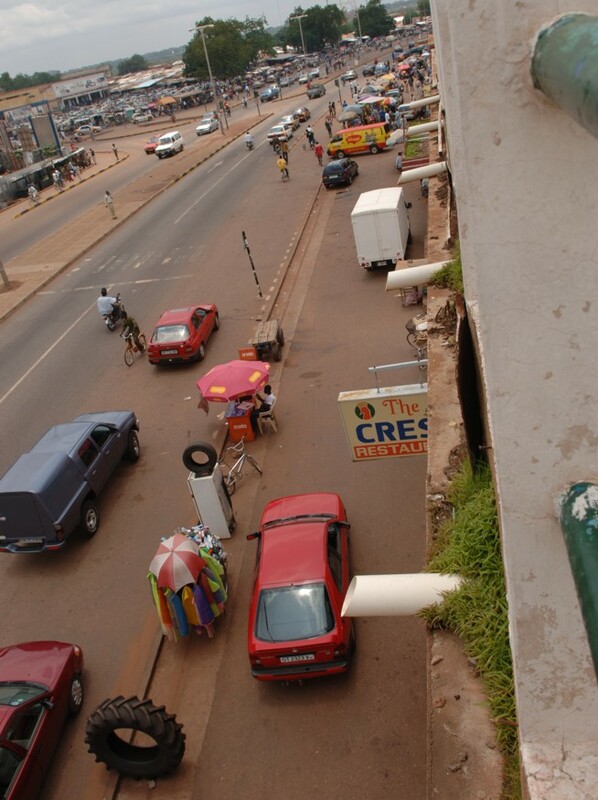 Below is one of the major streets that cut thru the center of town. 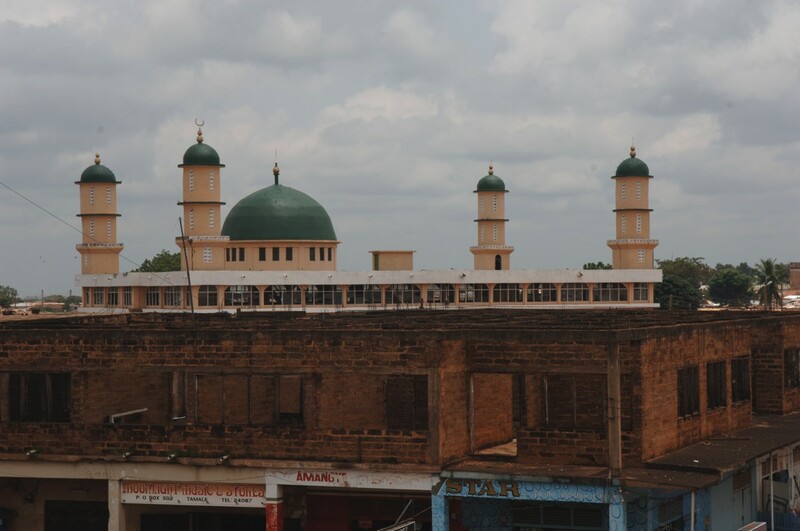 As you can see the mosque dominates the skyline here. 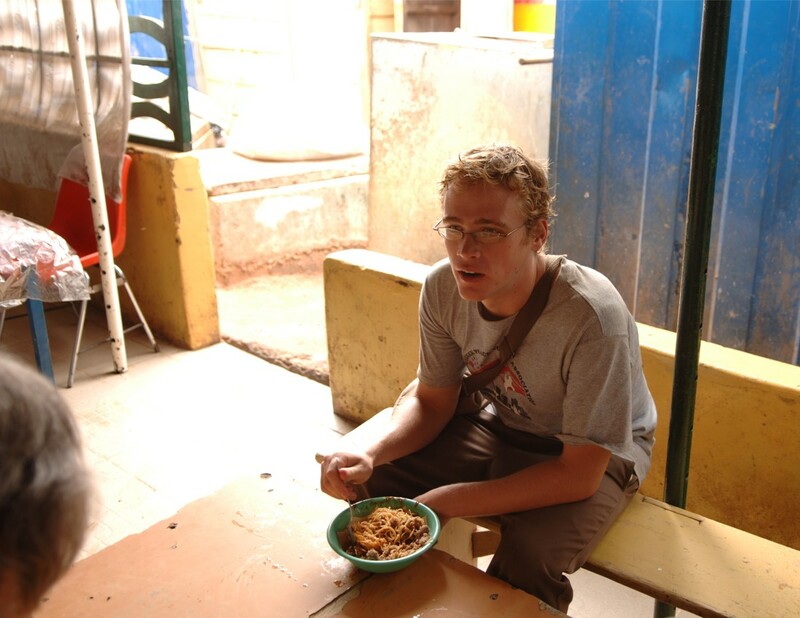 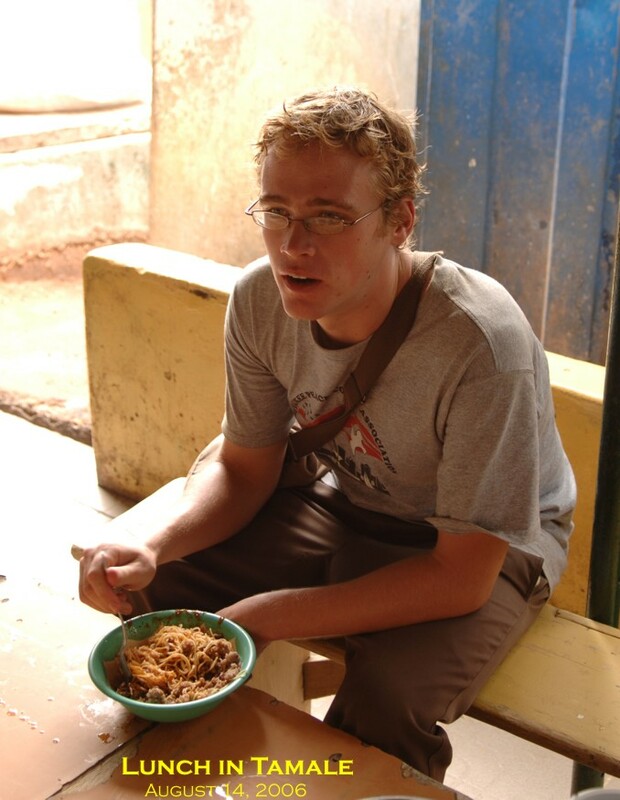 Jon had lunch in Tamale at the market. 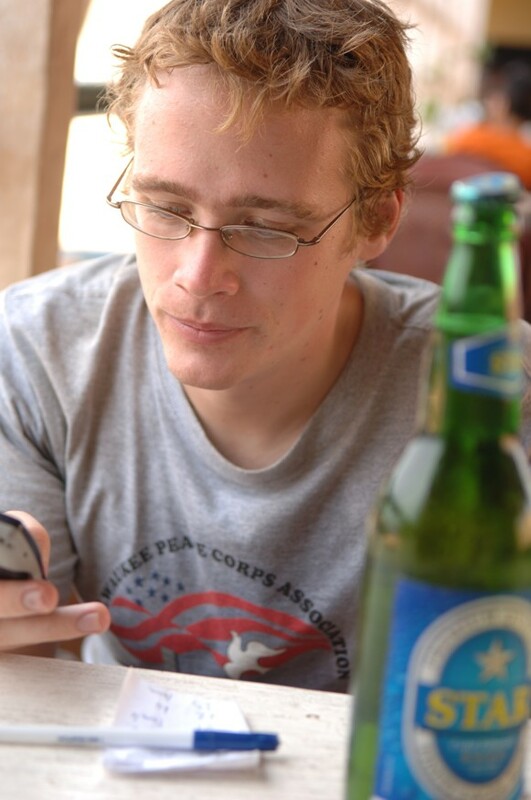 This was a neat place. 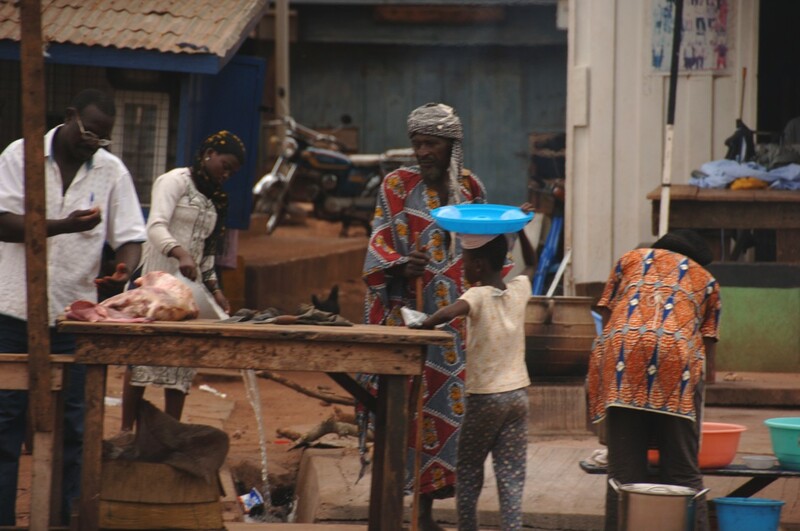 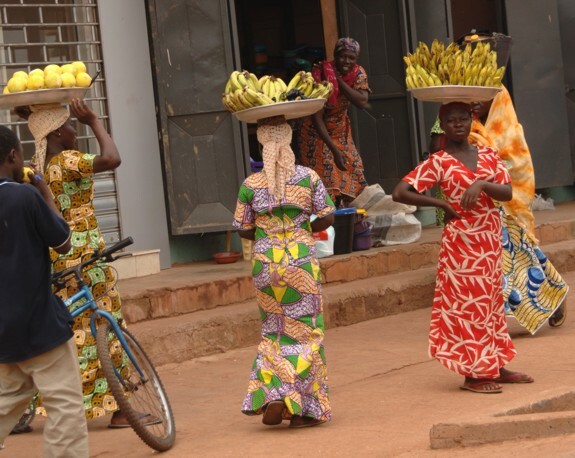 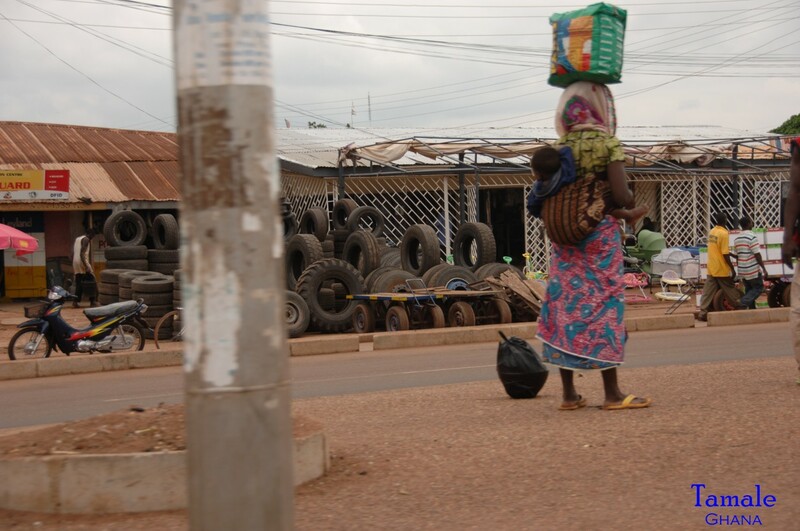 Woman carrying child on back, and bag on head - The women were amazing in Ghana!